Silver Lining Teasers March 2019 – Upcoming Zee World Bollywood drama series ‘Silver Lining’ teasers, previews, updates, episodes, highlights and spoilers for March 2019. Everyone arrives at the crash scene, but the body is burnt beyond recognition. Samarth refuses to believe that Isha is dead. Revati starts being paranoid and removes Isha’s photos. Ira finally confesses to her true feelings for Isha. Revati cannot speak while giving her eulogy at Isha’s funeral. Isha’s ghost returns to haunt Revati. The family continues messing with Revati about the ghost, and Shravan gives Ira something that she will cherish. Also, Ira is attacked and gets saved by someone she doesn't expect. Shravan and Ira continue getting close to each other. Ira decides to get married to Samarth after being convinced by Revati. Shravan finds out that he is in love with Ira. Ira tells Shravan that she wants a divorce because she wants to marry someone else. Ira wears a sari that Shravan gives her for the engagement ceremony. Ira and Sam’s engagement doesn’t go as planned. Revati finally confronts ‘Isha’s ghost’. It’s Ira’s henna ceremony, but she’s not happy at all. Shravan has a prospective bride and Ira is determined to dissuade her from accepting him. Shravan continues to make Ira jealous by talking about his bride to be. Isha shares very good news with Samarth. It’s Shravan’s engagement but Ira hides the ring. Isha speaks to Ira but under pretense. Revati believes that Isha is still alive and is determined to find her. Ira tries to stop the wedding, but will she make it in time? Ira sees Isha. Ira refuses to carry on with the wedding and Revati threatens her life. Revati confesses to her past in front of her family. Revati escapes from prison and kidnaps the little boy. Isha and Ira finally have a happy ending by seeing a long-lost face. The priest tells everyone that Sam and Isha's horoscope do not match so she ends the relationship. Isha gets invited for lunch at the Ojha house and offers to cook for the family. Sam is surprised at the type of clothing Isha wears to the dinner party. Devki realises Revati is up to no good and warns her. Isha receives a message from Samarth. 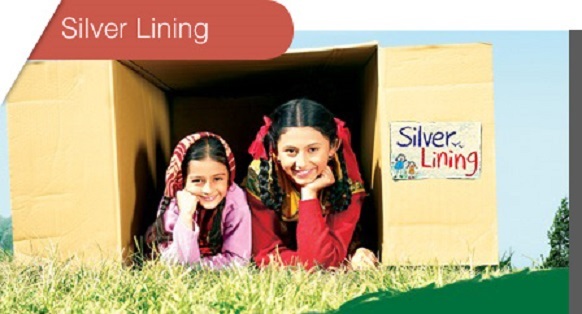 Silver Lining a story of two orphan sisters Isha and Ira. The siblings are separated by circumstances and reunite by destiny later in life. Isha joins a radio station with the intention of finding her sister. Ira, on the other hand, grows up to be a rich spoilt brat. Angry with her past she erases all memories of her childhood. Unaware of their shared past, the duo meets and become best friends. Isha is placed in another dilemma when she discovers they both are in love with the same childhood friend, Sam. Will Isha sacrifice her love for her sister?